I started a book on April 19th. I know this because I logged it in on Good Reads. I just finished it on Sunday. Whew! I was off for a week during that time. You would think that I could read a young adult book faster than that. I liked the book, but my life got in the way. I will spend lots of my free time reading, but when visitors come in to town, and the festival season starts in New Orleans; it is hard to curl up with a book. When I attended the AASL conference in October, a member of the YALSA Best Fiction for Young Adults committee told me that she reads a book a day. I love to read, but I want to savor a book, so racing through it in a day will not allow me to enjoy or internalize it at all. I can never remember character names now. If I read a book a day, then reading the book would be useless to me because I would not remember how the book made me feel or allowed the book to get under my skin and change how I think. Right now I have some reading deadlines looming over me. I have a review for Library Media Connection due on May 20th. Then I have a meeting with my middle school book group on May 16th. Then on May 22nd, the middle school group is going to Skype with an author, and I haven't even bought that book yet. Needless to say, I have just started the book to review, but I will need to read the other two books too. The students in my high school book group have agreed to review books for the twice monthly online newsletter, SLJ Teen, put out by School Library Journal. Most of the members of the group are sophomores, and they are busy with end of the year school work deadlines. I am nervous that they will not be able to get the reviews to me when I need them. Today during our regular meeting, we discussed what needed to be in each review. They only need to write 250 words or so, but I don't think the writing is the issue. The issue is if they have time to read. They are all reading for the literary analysis due in English class. They have plenty of science to read to finish their Independent Research Projects (IRP). They haven't taken the time to read for pleasure. They have lists of books that they want to read and share with each other, but school work and life is getting in the way. Should we schedule reading time so that we always take the time stop and read? I believe that reading feeds the soul, and we do need to read for pleasure. Sometimes time is not in our favor. Want to know what is on my bedside table? 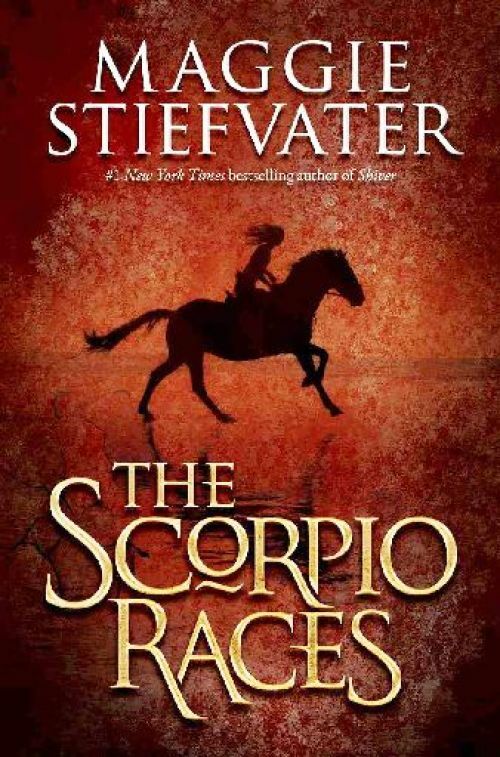 I just finished the Printz Honor Book, Scorpio Races by Maggie Stiefvater. I liked it a lot and loved the fairy tale quality of it. I am not sure of its appeal to teens, as none of my students have read it yet. I will be interested to find out how some of them like it. I am reading The Exceptionals by Erin Cashman to review in LMC. I am about a third of the way through it, but I can't say what I think until after my review is published. For BRiMS, the middle school group, we are reading Airborn by Kenneth Oppel. The kids who finished it have said that they loved it. Yea!! I picked well. 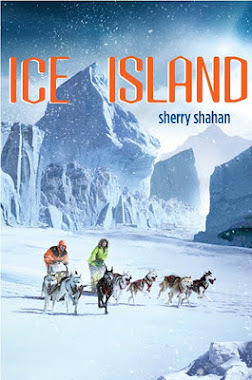 Then the BRiMS skype will be with author Sherry Shahan who wrote Ice Island. There you have it. I am going to stop now and go back to my book. What are you reading?